Sorry folks, no fun description this week. The past week or so has been hell for me between work, cold(weather and sickness), home renovations, and writing courses, so Burner id Burn-Out. 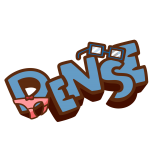 Stay Tuned tomorrow for the last Dense Q&A.